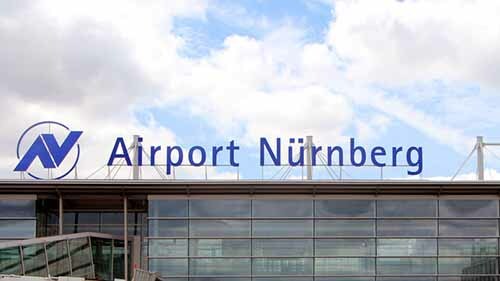 Further expanding its current locations across Germany, ParkCloud has added Nuremberg Airport to its extensive repertoire of 16 airports across Germany. The partnership sees P1+, the on-site multi-storey car park at Nuremberg Airport, become bookable on the ParkCloud channels. When reserving a space in advance at the P1+ customers gain the peace of mind that their car will be in a safe and secure place with the added bonus that it is just a minutes' walk from the terminal. As well as working with airports directly, ParkCloud also partners with airlines including Wizz Air. Using a dedicated site powered by ParkCloud's reservation platform, a second car park at Nuremburg airport, P7, will be exclusively available on Wizz Air's dedicated airport parking site. Wizz Air’s destinations in Europe from Nuremburg Airport include Sofia, Bucharest, Belgrade and more – and ParkCloud is always keen to ensure the parking option is suited to the airline travellers profile. For example, the P7 is a long-stay car park, suited to those going on longer trips. Nuremberg Airport is the second-busiest airport in Bavaria, and is the 10th biggest airport overall in Germany – handling over 3.5 million passengers in 2016. Located 5km north of Nuremburg's city centre, it offers domestic flights as well as flights to European leisure destinations including the Mediterranean, Canary Islands and Egypt.